FITSTEPS & FITSTEPS FAB… FOR ALL BODIES! 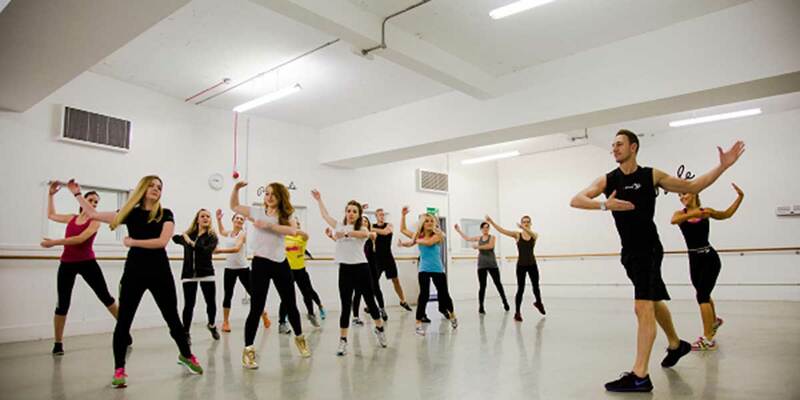 Fitsteps® is an energetic, upbeat dance class designed to achieve real measurable fitness results. This ‘fab-u-lous’ class designed by Natalie Lowe, Ian Waite (from Strictly Come Dancing) and Olympic swimmer Mark Foster. Fitsteps is a fun heart pumping workout mixing graceful steps of Ballroom and the up-tempo steps of Latin dances. No partner needed. In Fitsteps you will dance styles seen on ‘Strictly Come Dancing’ and ‘Dancing with the Stars’ such as the American Smooth, Cha Cha Cha, Paso Doble and Viennese Waltz. Fitsteps FAB® is the sequel to Fitsteps® another inspiring dance based fitness class designed by ‘Strictly Come Dancing’ stars Natalie Lowe & Ian Waite and Olympic swimmer Mark Foster. Fitsteps FAB is ‘for all bodies’, for people who love to dance, want to keep fit, but for a variety of reasons, prefer a lighter intensity and lower impact. This combination of graceful and up-tempo steps creates a class that is a great cardio workout, tones the body, and where real measurable fitness results can be achieved. In Fitsteps FAB you will dance a further number of fabulous dance styles differing to the original Fitsteps class. This class fuses dance styles with swing and sway roots; such as the Charleston, Foxtrot and Swing Jive. And timeless dances such as Theatre Jazz and Disco, Flamenco to the dramatic Argentinian Tango. #DANCEYOURSELFFIT and transform your body, have fun learning genuine Ballroom and Latin steps, putting them into choreographed routines to great music traditional and new. Wear comfortable and supportive fitness attire, lightweight trainers recommended and bring water and maybe a towel.